Arnold Holbrook, age 78, of Beach Road, Olive Hill, passed away Saturday, March 16, 2019, at the U. K. Medical Center in Lexington. He was born January 24, 1941, in Elliott County, and was a son of late Clarence Holbrook and Tilda Marie Lawson LeMaster. In addition to his parents, he was preceded in death by one sister, Mary Jewell Caudill. Arnold is survived by his wife of 53 years, Nellie Conn Holbrook, whom he married February 17, 1966; two sons, Clarence Junior Holbrook (Debi) of Elliott County and Arnold “Gene” Holbrook (Missy) of Olive Hill; one daughter, Latricia Wilson (Ricky) of Morehead; one brother, Billy Holbrook (Louise) of Elliott County; 10 grandchildren, Sheena Wilson, Ricky Alex Wilson, Jordan Wilson, Peyton Wilson, Chris Mocabee, Nick Holbrook, Tasha Haney, Morgan Holbrook, Pacey Holbrook, and Jesse Holbrook; 11 great grandchildren; and a host of nieces and nephews. He was a farmer and logger and a member of Dry Branch Church of God. 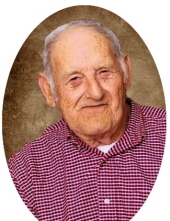 Arnold enjoyed fishing, hunting, and spending time with his family, especially his grandchildren. Funeral services will be conducted 2 p.m. Wednesday, March 20, 2019, at Dry Branch Church of God with Pastor Gayle Price and Minister Clifford Price officiating. Burial will follow in Bradley Cemetery on Dry Branch Road, Olive Hill. His grandchildren will serve as pallbearers. Honorary pallbearers will be Randy Holbrook and Debi Holbrook. Visitation will be from 5 p.m. to 9 p.m. Tuesday, March 19, 2019, at Northcutt & Son Home for Funerals in Morehead and 1 p.m. to 2 p.m. Wednesday, March 20, 2019, at Dry Branch Church of God, 2513 State Route 1626, Olive Hill, KY 41164. To send flowers or a remembrance gift to the family of Arnold Holbrook, please visit our Tribute Store. "Email Address" would like to share the life celebration of Arnold Holbrook. Click on the "link" to go to share a favorite memory or leave a condolence message for the family.